There aren’t too many things that I like better than homemade bread. I am a huge fan of yeast breads as many of you may know, but there is not always time to make this type of bread. This was the case this past weekend. I had this recipe on my list to make for a short time now and it turned out to be a perfect substitute for the yeast breads that I usually make. 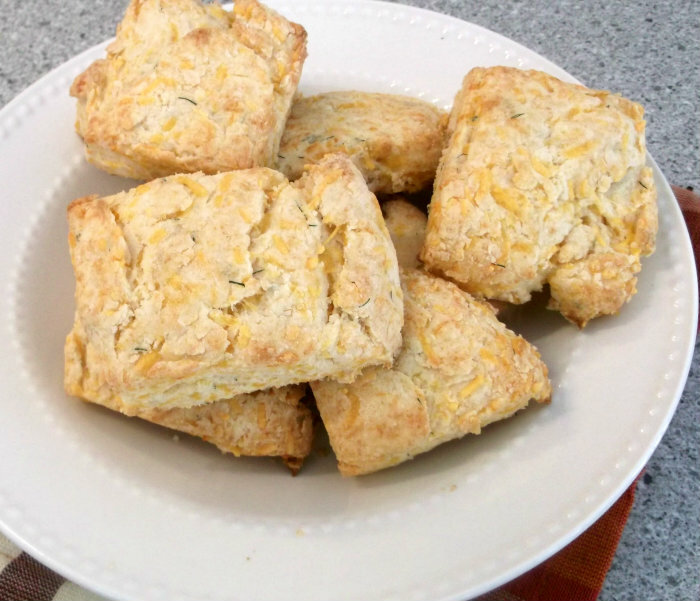 The cheddar cheese is a great addition to these biscuits and I have dill growing in our garden so I added some to jazz up the flavor a little more. I served them with the coleslaw from my last post, along with some roasted chicken. There is something about chicken, coleslaw, and biscuits that makes it a perfect meal. 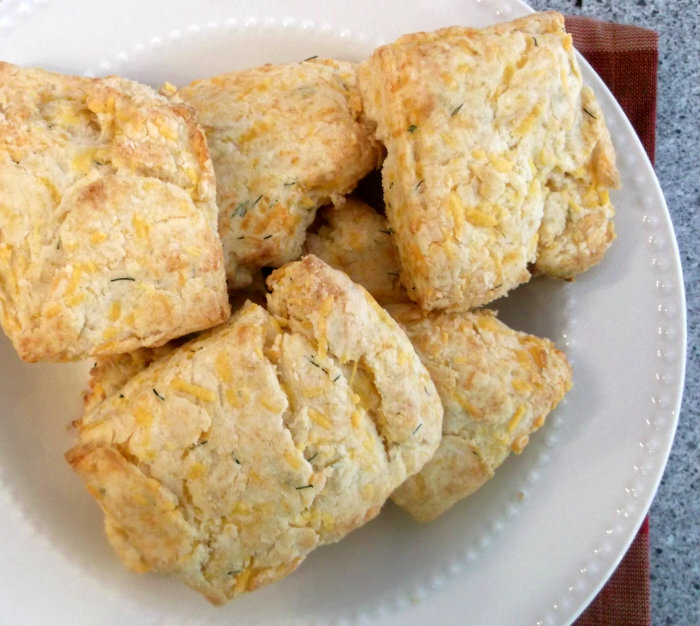 Cheddar and dill biscuit made this meal even more special. Preheat oven to 450 degrees. Mix flour, baking powder, cream of tartar, sugar, and salt in medium bowl. Cut in butter with a pastry blender or two knives until mixture resembles coarse crumbs. Stir in Cheddar cheese and dill. Add milk; stir until mixture forms soft dough. 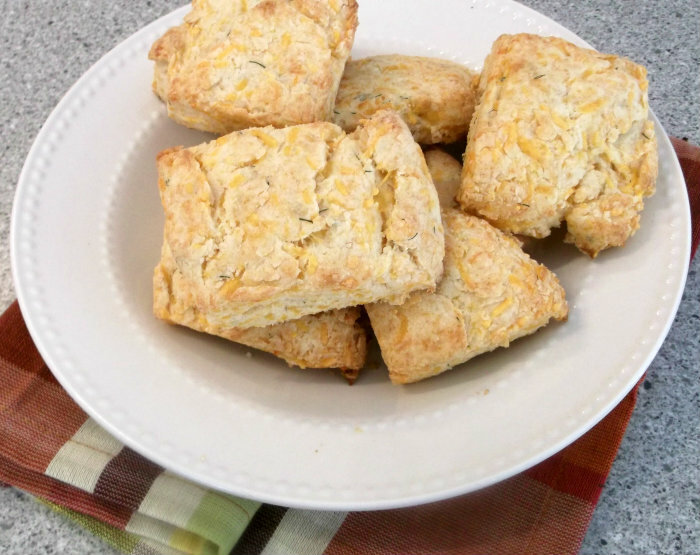 Homemade bread and biscuits are so good. These biscuits look delicious! Yeast and I are old enemies so I just love finding new recipes for bread products that don’t require using yeast. These look easy and delicious.